Benton County INGenWeb is a part of the USGenWeb Project and is an all-volunteer effort. 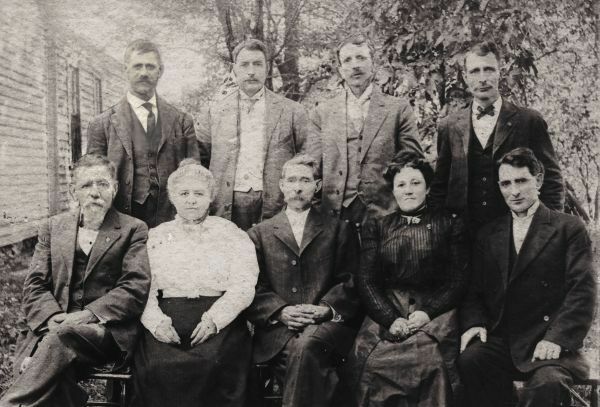 In June, 1996, a group of genealogists organized the Indiana Comprehensive Genealogy Database. The idea was to provide a single entry point for all counties in Indiana, where collected databases would be stored. In addition, the databases would be indexed and cross-linked, so that even if an individual were found in more than one county, they could be located in the index. My name is Adina Watkins Dyer and I am responsible for Benton County. This site was previously cared for by Anthony Gick. I would like to thank Anthony for all his years of dedication and work for the researchers of Benton County, and wish him all the best for the future. If you would like to contribute information to this site, please let me know. The Children of George William Harrison and Maria Louisa Davis. surnames needed - submit your Benton County surnames! Transcribed Documents - submissions needed! Biographical History of Tippecanoe, White, Jasper, Newton, Benton, Warren and Pulaski counties, Indiana, 1899; Lewis PublishingCo.